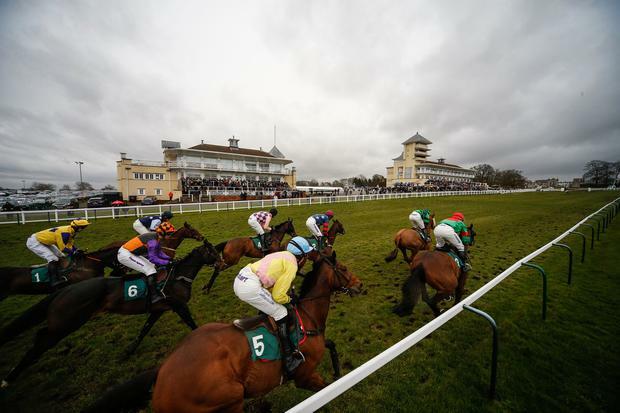 The future of Towcester racecourse is up in the air after it was announced the company which owns the track is taking steps to place the business into administration. In a statement issued through Facebook, Towcester Racecourse Company Limited – the proprietors of Towcester Racecourse – said it was “currently experiencing trading difficulties”. As well as horseracing, the Northamptonshire venue also stages regular greyhound meetings and multiple cards scheduled for later this week have already been cancelled. The statement read: “Towcester Racecourse Company Limited, proprietors of Towcester Racecourse, are currently experiencing trading difficulties and are in discussions with key stakeholders and professional advisors on the way forward. However, the directors have concluded that they have no alternative in the short term but to seek court protection and are now taking steps to place the company into administration. “As a result, it is with regret that the greyhound meetings on this Friday, 17th August and over the weekend at Towcester Racecourse have been cancelled. “Whilst inevitably there will be considerable interest from customers, supporters and suppliers, the directors ask that they be given time to focus on exploring other options for the business and they anticipate there will be a further update in the next few days. The next scheduled horseracing fixture is on Wednesday, October 10. Next article‘The use of the sexual device as a prop, in my mind, it made sense’ – Daniel Roberts explains his actions on Who Is America?